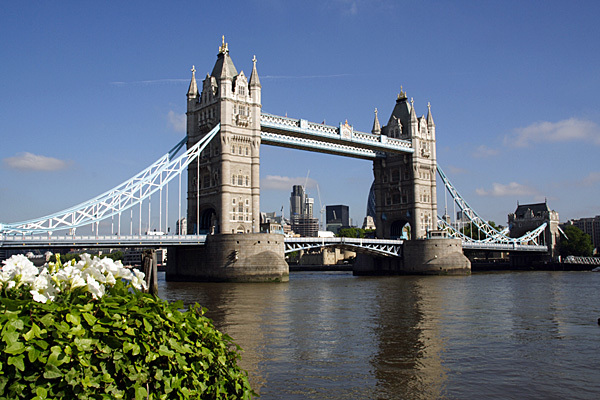 London’s iconic Tower Bridge, seen from the Thames Path as it meanders through the city. 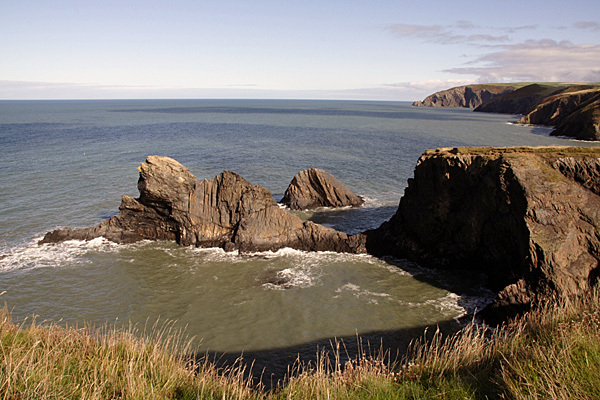 Rock stacks at the mouth of Ceibwr Bay on the Pembrokeshire Coast Path. The view from Victoria Bridge, near the Inveroran Hotel, on the West Highland Way. The National Trails were walked and written about some years previously in another book, but with extra trails being opened, it was time for a completely new title. Cicerone publishes the author's guidebooks covering the South West Coast Path, Cleveland Way, Yorkshire Wolds Way, Pennine Way, Glyndwr's Way and Great Glen Way, so it was a case of continuing walking until all the National Trails had been covered, which took two extended summers, and even part of the winter in-between. Sometimes, walking a trail was easily accomplished in a week, allowing a return home before tackling another one. At other times, as many as four trails were covered one after another. It was good to see improved signposting along the trails and judicious re-routing to avoid muddy or boggy stretches, but most of all it was good just to see them all again, and to walk the latest additions to the National Trail network. Once all the walking was completed, it was a case of sorting out all the information, drafting sketch maps of each trail, and drawing gradient profiles showing all the ups and downs along the way. The idea is for readers to be able to see what each trail involves, and to be able to compare and contrast one trail with another before making a choice. Cicerone publish guidebooks covering every National Trail, so further information is readily available once a choice has been made. The book contains a total of 19 National Trails, running through some of Britain's most delectable landscapes, while work continues to extend the Pennine Bridleway northwards. Altogether, taking into account all their variant routes, the National Trails cover about 5000km (3100 miles), which is enough to keep anyone's feet occupied for many pleasurable years. The 2015 edition contains the latest extensions and variant routes to the trails.